Despite a natural fear harboured by many, it’s a well-known and often quoted fact that flying is one of the safest forms of travel. Ever year, millions of jet-setters are whisked around the globe, their lives securely entrusted to the hands of highly trained professionals and an array of multi-million pound technology. On the ultra-rare occasions in which air accidents do happen, the very nature of such incidents often result in a tragedy of catastrophic proportions. 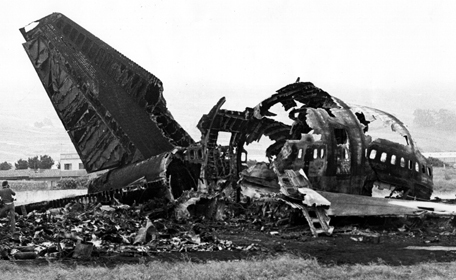 Aftermath of the 1977 Tenerife Airport disaster; the deadliest air-crash in aviation history. 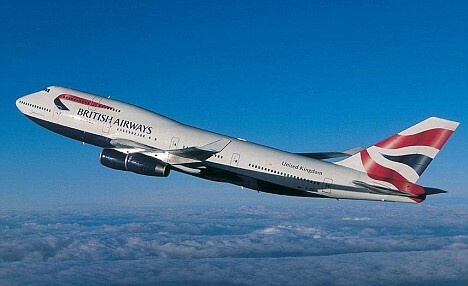 Over the years, scores of notorious aviation disasters have occurred all across the world. 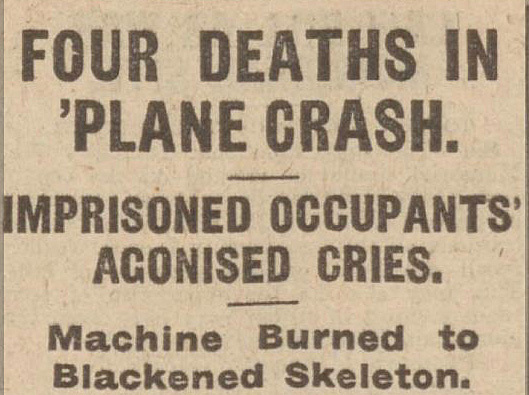 Before examining this tragic aviation first, we should take a quick look at the airport which the flight in question originated from… Cricklewood Aerodrome. 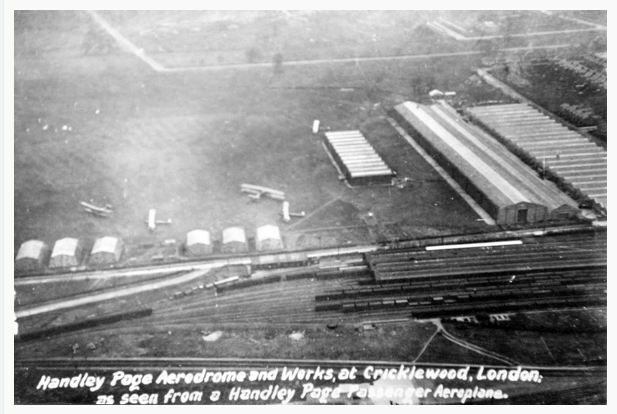 Now long-vanished, Cricklewood Aerodrome owed its existence to a large aircraft factory known as Handley Page. The factory itself had been established at its north London site in 1912 by Frederick Handley Page who, just 12 years after the pioneering achievements carried out by America’s Wright Brothers, saw a market for the newfangled flying contraptions. 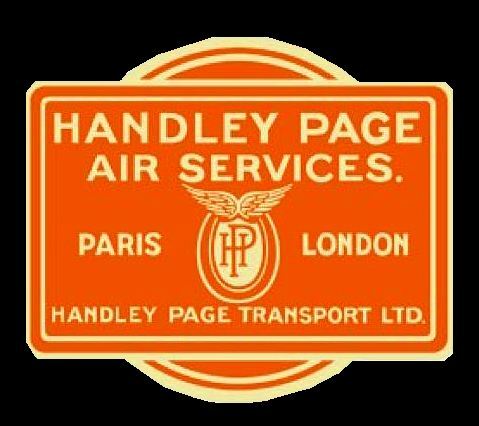 Frederick Handley Page and the logo of the innovative aircraft company which he established. Once an aircraft left the Handley Page production line, it was flown directly to the purchaser. To facilitate this service therefore, the company laid out an airfield next to the factory. In 1914, just two years after the factory had opened, WWI; the Great War erupted… the very first conflict to involve aerial combat. As a consequence, the Handley Page factory at Cricklewood turned itself over to the war effort, churning out heavy bombers which, at the time, were the largest winged aircraft ever created, their bulky size capable of stashing away some 2,000lbs of explosives. Once the Great War was over and normalcy began to return to Europe, the Cricklewood-based manufacturer restored their facilities to more peaceful purposes. 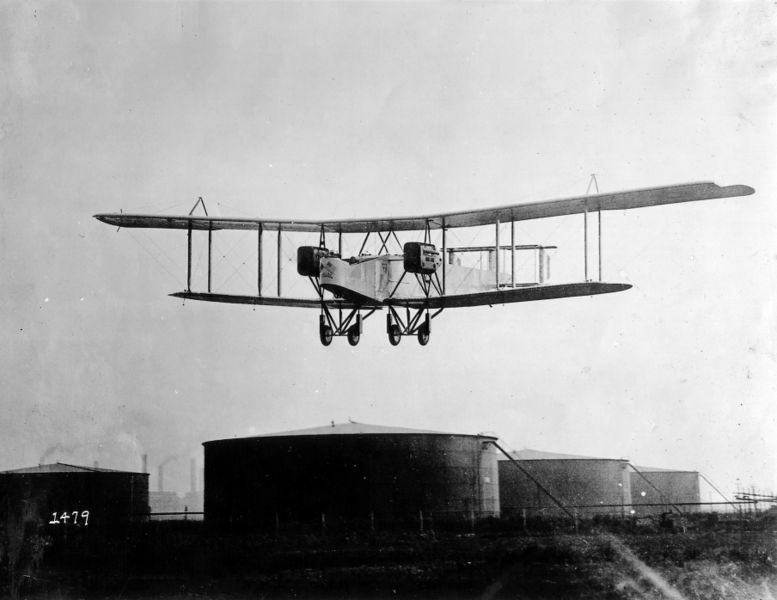 In 1919, the group established Handley Page Transport, converting their former bombers into passenger planes whose range made them capable of serving pioneering passenger routes between London and Paris. For over a year, the adolescent airline transported the brave and well-to-do between the two capitals without incident… that was until the 14h December 1920. Just before midday, the regular scheduled flight to Paris took off from Cricklewood Aerodrome. The model of aircraft serving the route was a Handley Page O/400, its droning twin propellers lifting the heavy plane into the misty sky. 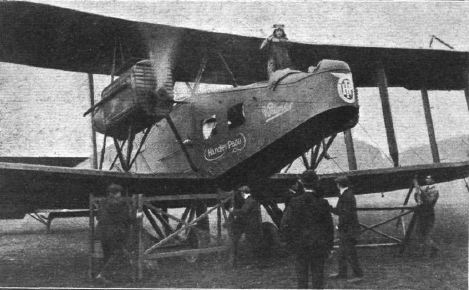 A Handley Page passenger plane at Cricklewood Aerodrome being prepared for a commuter flight to Paris, February 1920. Moments after rising into the murky air, the vintage passenger plane encountered difficulties… for reasons unknown, the airliner was unable to climb and dropped so low that it brushed the branches of a large oak tree; a collision which no doubt did little to relieve its technical woes. 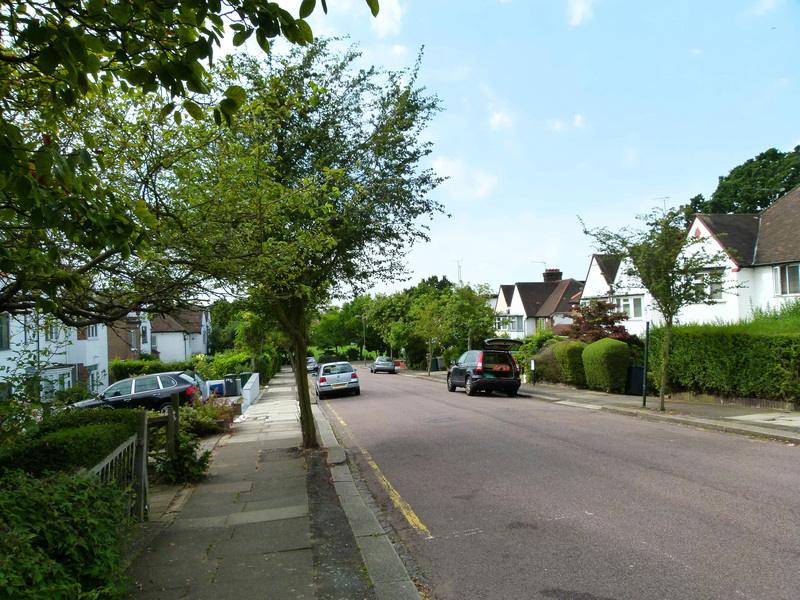 Seconds later, the aircraft plunged into the back garden of number six, Basing Hill, a quiet, residential street on the western outskirts of Golders Green. 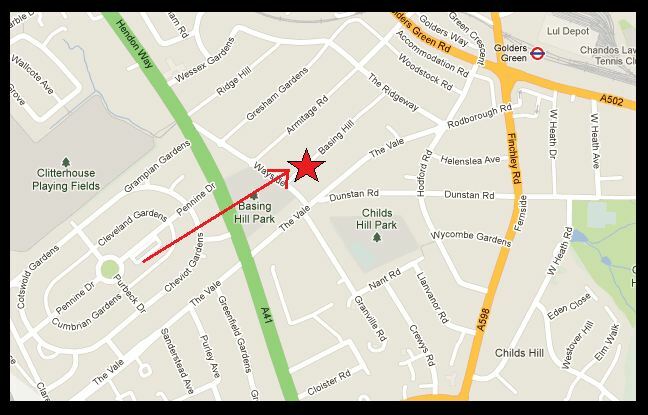 Map indicating Basing Hill and the approximate, disastrous path taken by the struggling aircraft. (Google imaging). 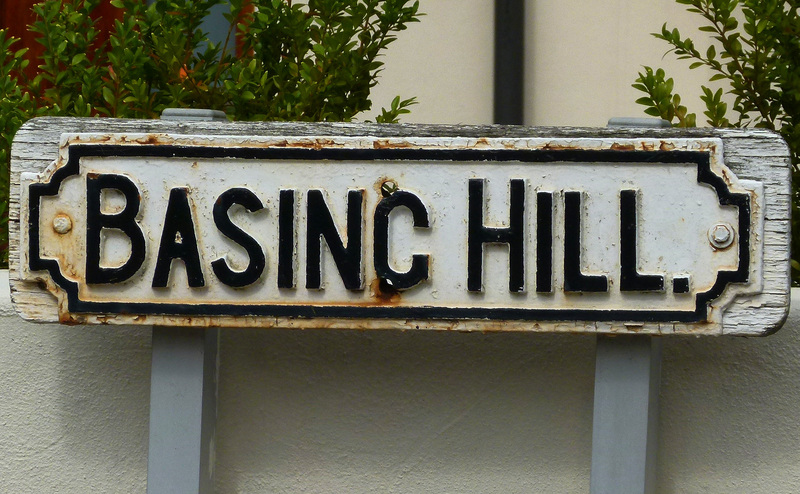 Basing Hill, NW11 as it appears today. Despite the seemingly quaint nature of this crash, the incident was certainly no picnic for the unfortunate souls trapped inside the flying machine. Although locals rushed to the scene to help, the intensity of the flames beat back any hope of rescue. Once the raging fire had been extinguished, the deceased victims were recovered. “Charred beyond recognition”, they received little dignity; dumped on the back of a lorry and carted off to the local coroners court for a post mortem. 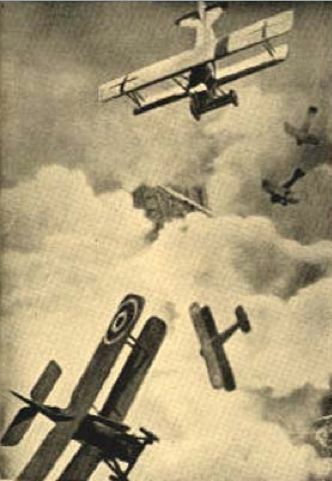 The names of those who perished were Mr R. Bager- the pilot, Mr J.H Williams- the mechanic… and the two trapped passengers; Mr Salinger (from Boxmoor, Hertfordshire) and Mr Vander (from Paris)- the unfortunate Englishman and Frenchman sadly gaining their place in the history books as the first two civilians to lose their lives in a chartered airline crash. 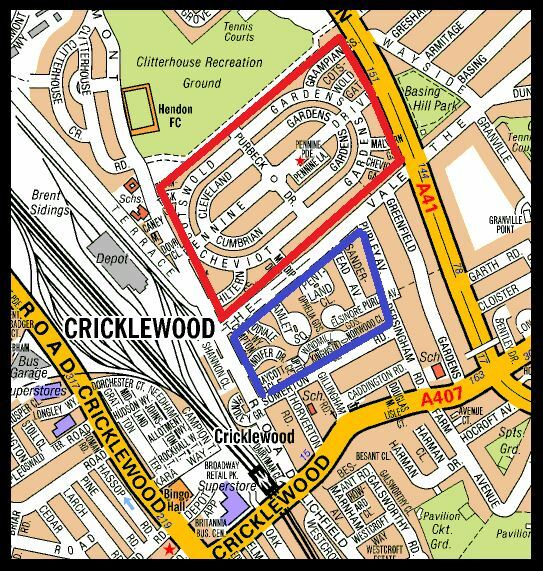 Cricklewood aerodrome ceased operation in 1929, moving to a new base in Radlett, Hertfordshire. 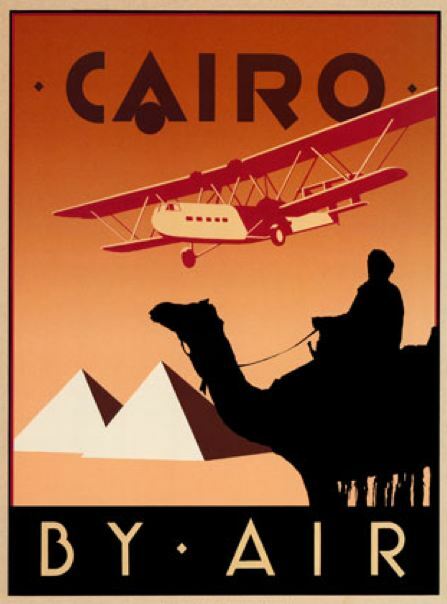 In 1924, Handley Page Transport merged with two other companies, forming Imperial Airways… the forerunner to what we now know as British Airways. 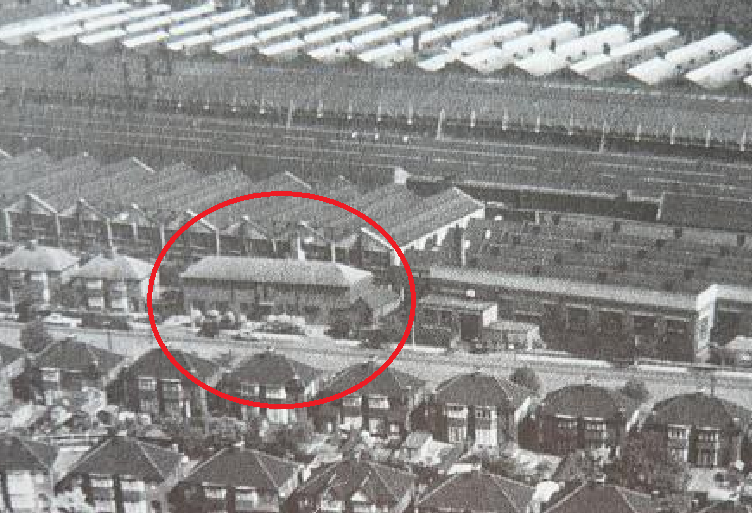 Although Cricklewood airfield quickly disappeared beneath a housing estate (centred around Pennine Drive), the neighbouring Handley Page factory remained in business right up until 1964. 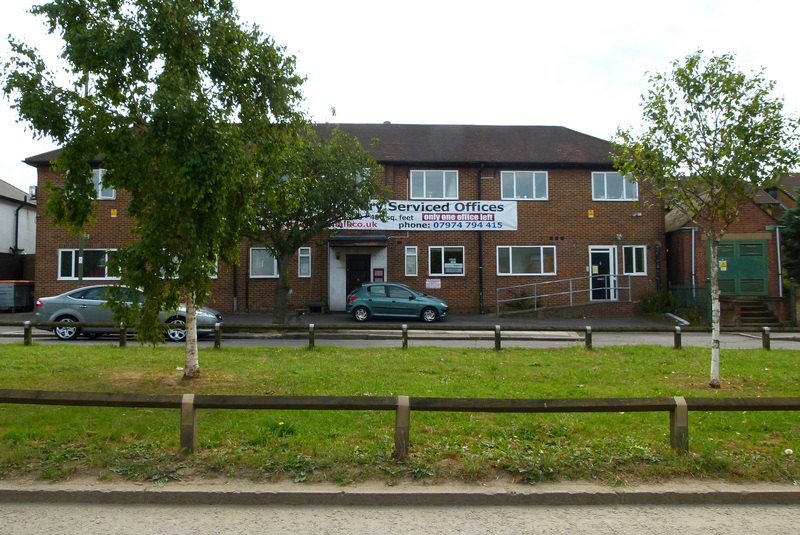 The only remaining Handley Page Building which can be seen on The Vale, Cricklewood. Aerial view of the Handley Page factory, Cricklewood. The one surviving building (pictured in the image above) is circled in red. To read about two more of London’s grim transport firsts (this time related to the motor-car), please click here.